Lama Yongtong was born in a Tibetan village in Amdo Ngaba in 1972. At a young age his parents sent him to school to learn Chinese. When he was 16 years old, the local Tibetan teachers sent him to teach other students to sing, dance and play sports in the town of Aba Guozhuang. In 1988 he left his teaching job and became a monk in Nangzhig Monastery. He received lessons on Ngondro and main practice of Yungdrung Bon from Gyawob Rinpoche with emphasis on Tsa-lung and Kek-Sel. At that time he also studied medicine and traditional physical therapy techniques, Kek-sel, ku-Nye from Amchi Chokpar, a famous Tibetan doctor, and received certificate in that field. He continued to reside at the monastery and helped with construction of stupas and temples. He also took other responsibilities in the daily running of the monastery. He immigrated to the United States in 2002. 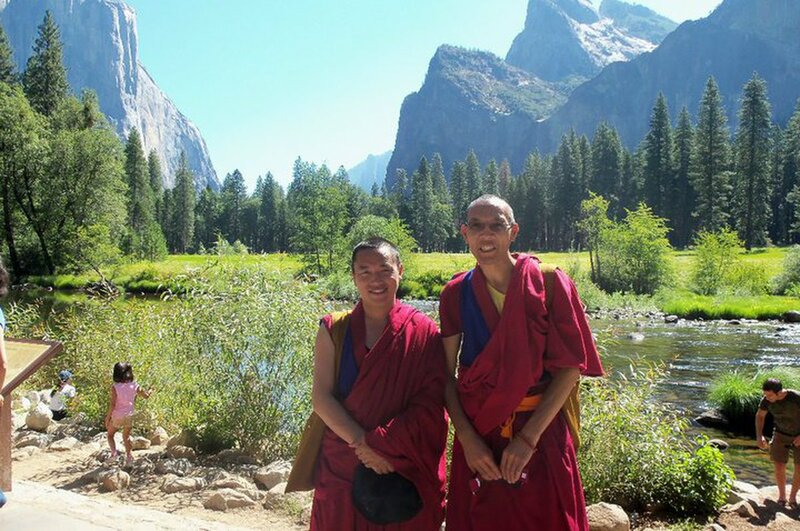 He is the resident Lama of YYEF Bon Center and also assists Geshe Chaphur Rinpoche to run Gyalshen Institute.